At the beginning of this school year I had a student who was excellent in my math class. He had a strong number sense and was truly a leader in the classroom. This all changed a month or so into school when we started working heavily on word problems. Suddenly, he was struggling on exit slips and performing poorly in class. In a moment of desperation I spoke to his reading teacher asking if she was seeing a decline in academics or if she knew of something going on at home. To my surprise I was informed that he was significantly behind grade level in his reading abilities, and was receiving reading intervention three days a week. I felt a flood of relief that I finally understood why my student was struggling. Simultaneously, I felt shame. How could I have missed the fact he struggled so much in reading? I had always promised myself that I would do everything I could to help my students feel loved and supported in education, and I felt like I had failed. “A study of how teachers show love in the classroom” presented five ways teachers show love: caring, attitude towards job, enthusiasm, fairness and respect, and teacher-student relationship. The first subsection under showing love through the teacher-student relationship was all about communication. Teachers show love through communicating with their students, the students’ parents, and colleagues. Daily my students receive instruction from math teachers, reading teachers, writing teachers, special education teachers, instructional assistants, and their parents. My students are undoubtedly very lucky to be supported and loved by so many dedicated educators. 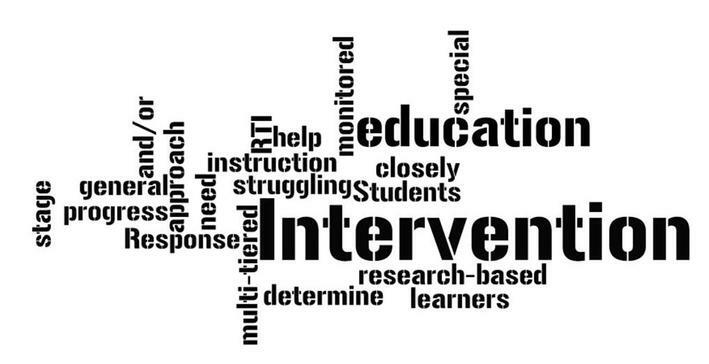 Unfortunately, it became very clear that there was a gap in my school’s intervention process. While my students may have been receiving all the encouragement and extra attention they needed to be successful, there was no way to consistently communicate intervention progress data among all of a their education team. There was no universal way to know a student across all dimensions of their education. In order to fully love and provide my students with the best chance for academic success there needed to be a way to easily access and communicate student progress data. The second step was determining a way to easily communicate this information to multiple people quickly and efficiently. In the end, Google sheets provided a platform that could address both areas, and the Intervention Records Sheet was created. The goal of the “Intervention Records Sheet” sheet is to provide a central location for educators and parents to get a snapshot of a student’s academics. The Intervention Records Sheet is split into three tabs. The first is the Student Profile page, which follows students throughout elementary school documenting grades, benchmark assessments, areas of concern, and previous interventions. The second and third tabs are dedicated to reading and math. These page are for intervention teachers to document a child’s progress and help make referral decisions. This information can be easily shared digitally so other teachers, parents, and the school psychologist can see real time updates in a student’s progress from any digital device. Concurrently, the recipients can leave comments or questions about the data at any time. When a student moves onto the next grade their new teachers will then be able to access their information. This will provide important insight on how to proceed forward with instruction. My adventure into intervention progress monitoring has been beneficial in many ways. There has been a definite increase in communication, between my coworkers and I, about student progress. Additionally, this shared knowledge has allowed my colleagues and I to more effectively co-plan for our students’ individual needs. This project is something that has changed my teaching for the better. I know my students better, I know my colleagues better, and I am a better teacher. Boyle County Schools’ mission is about inspiring “ ALL students to love learning, strive to reach their full potential, and make a positive contribution to our world”. I feel that I am one step closer to fulfilling this promise. While students may remember the pats on the back, encouraging words, and endless bandaids, I will know that behind the scenes there was dedication to systematic documentation and communication. After all, data is a love language. Jazmine is a third-year English teacher with a passion for cultural competency and professional collaboration. She is a member of JCPSVoice and CTEPS and is an avid contributor to the teacher leadership movement of JCPS. Access Elizabeth's data gathering tool here.